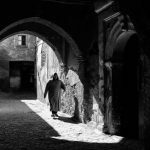 For decades, SLR cameras were the only option for taking pictures, but when smaller digital cameras began replacing the classic point and shoot camera, more photographers want to have instant results when viewing their images. 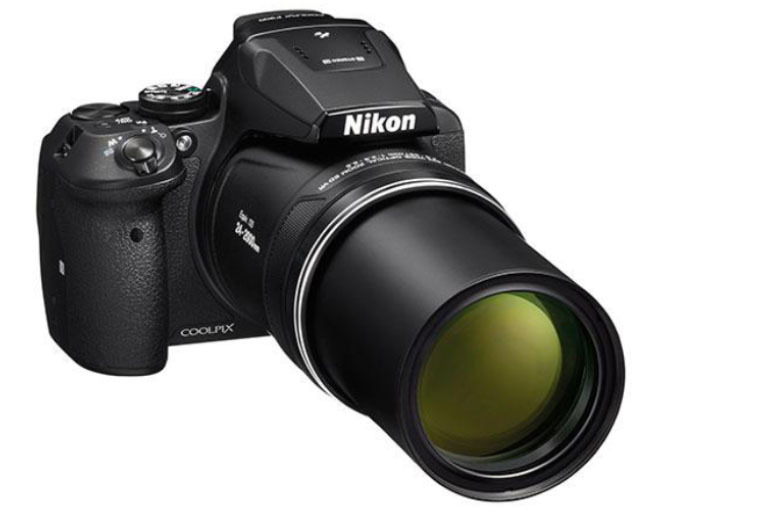 What Makes The Nikon COOLPIX P900 Unique? Smartphone technology has also made taking pictures an easy process with the ability to view pictures immediately. Although some phone cameras take high-quality photographs, DSLR cameras create a more lifelike image, with “truer” colors, and little need for editing or filters. Regardless of the smartphone you have, most have poor image quality when it comes to the zoom feature; the closer you zoom in, the more grainy the image becomes. In our review, we discuss the Nikon P900, some its unique features and why it may be an excellent option for someone looking for a DSLR camera with zooming options. To help you get all the information you need to decide if it’s the best camera for you, we also take a look at what others have to say about the camera, and we’ll give you some of our final thoughts. 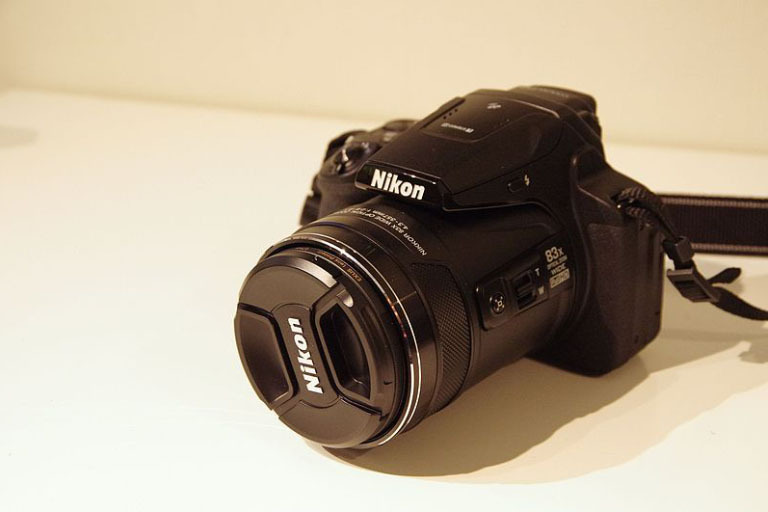 The Nikon P900, which is also known as the COOLPIX P900, is one of the many cameras manufactured by Nikon, which is a century-old Japan-based company that is best known for its cameras, but also specializes in other optical gear like binoculars and telescopes. At first glance, the P900 might look like an SLR camera, but it has the digital capabilities and other technical features like a DSLR. If you are new to the world of cameras (not including your smartphone camera), you might not know the difference between a DSLR or SLR camera. Let’s briefly take a look at the differences. SLR camera is also known as a Single Lens Reflex camera, uses film, and has a mirror-and-prism design. The biggest difference between an SLR and DSLR (Digital Single Lens Reflex) camera is that you have to have your photographs developed with an SLR; with a DSLR, you see your image results instantly, which allows you to have more opportunities to perfect your shot. 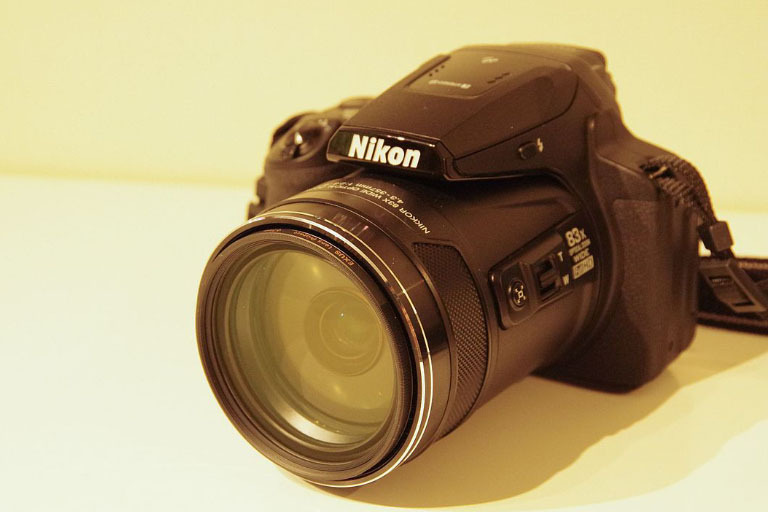 Although DSLR cameras help allow you to take great pictures easily, SLR cameras can often be a better teaching tool. You may want to consider a DSLR camera because the quality of photos is usually better, there are a variety of focus options, takes better pictures in low-light conditions, has video capabilities, and other tech-focused features. 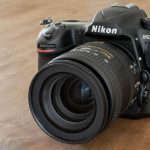 Nikon has a long history of manufacturing high-quality cameras, but there are other unique features that make this DSLR camera stand out from others on the market. The NIKKOR lens plays an integral role in producing images that are crisp and “lifelike.” Where other cameras produce images that often need a color boost or a filter to enhance the image, the lens captures images with rich, natural colors in all kinds of weather, during action, or even when the lighting is less than ideal. Not only does the NIKKOR lens help produce high-quality images but the optical zoom is one of the outstanding features of the lens on the COOLPIX P900. Most of us have attempted to take a photo with a zoom feature on our smartphones or other digital cameras, only to have disappointing results that are grainy or blurry. The lens has an 83x optical zoom and 166x dynamic fine zoom. This means that subjects that are barely visible with your naked eye can be spotted clearly with the zoom feature and if not, the dynamic fine zoom is the equivalent of 4,000 mm focal length. When zooming in, you might lose your subject, but the “Snap-Back Zoom” feature allows you to find your subject again quickly. 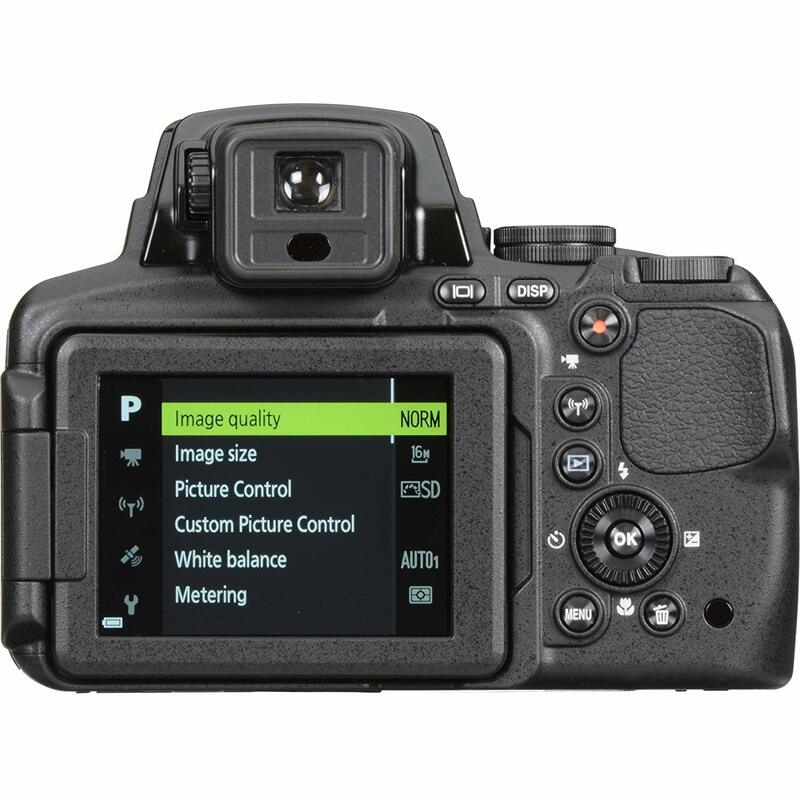 Autofocus (AF) is important when taking high-quality photos and the P900 has AF area solutions which include making the face a priority, subject tracking, target finding, and you can also manually AF areas with a spot, normal, or wide. The focus range is approximately 1 foot and 8 inches to infinity for width and 16 feet and 5 inches to infinity for telescoping. AF lock is also a feature that’s available. Most digital cameras have a built-in LCD and through the lens viewing. While both of these options are typically enough to help you take a high-quality image, the vari-angle display and high-resolution viewfinder increase your photo taking opportunities. The vari-angle LCD can flip out to the side to capture images and video in a variety of angles such as overhead or from below. 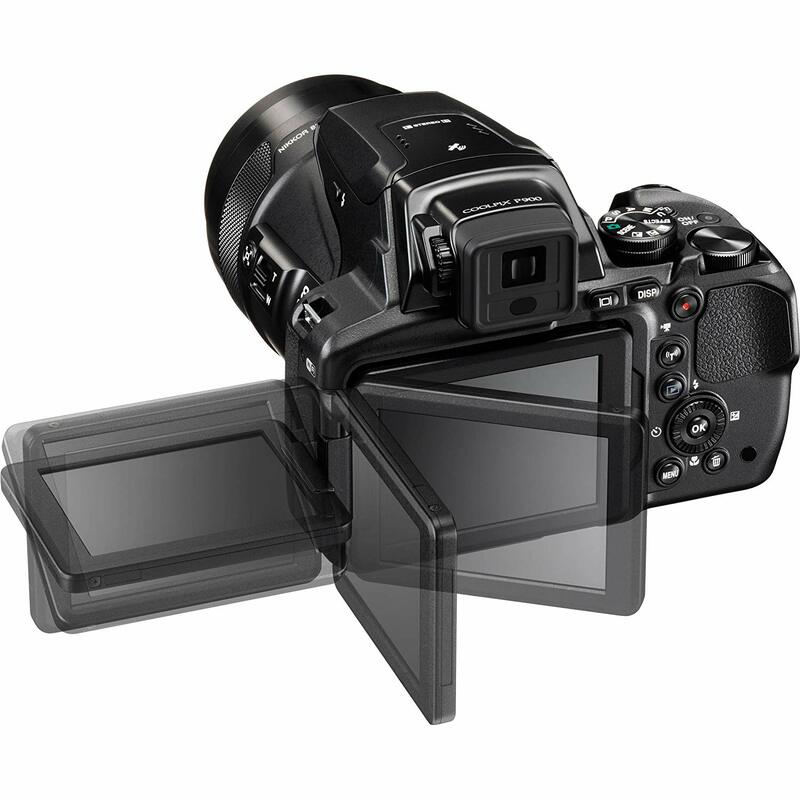 As you put your eye to the viewfinder, the eye-level viewfinder automatically turns on and shows you a high-resolution view of your image. 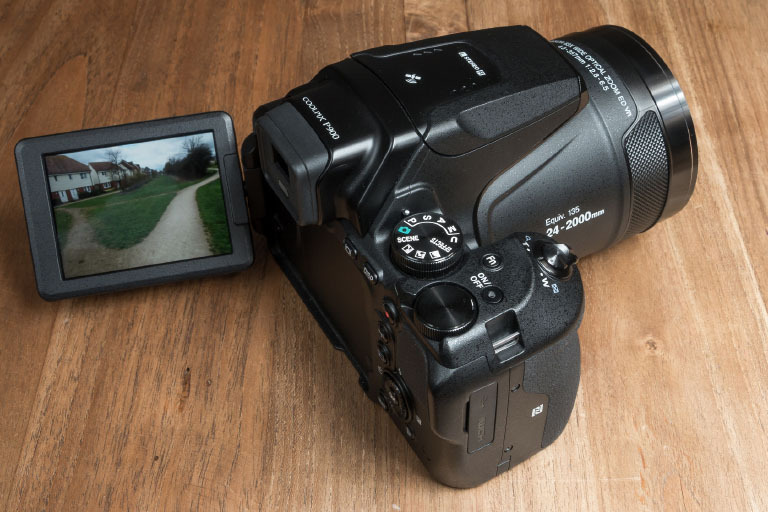 Some digital cameras have Bluetooth capabilities that allow users to connect to their smartphone or mobile device and instantly share images and video, but the P900 takes it further and has Wifi capabilities. With Nikon Snapbridge, you can work with the cloud storage and sharing site called Nikon Image Space. Not only do you have the option to backup your photos and create or share albums but you can upload photos to your social media profiles. Even if you’re in a remote location, you can use your smartphone or a tablet to control your P900. Built-in GPS and Points of Interest features allow you to easily make photo journals or organize your images and video footage by landmarks and other characteristics. 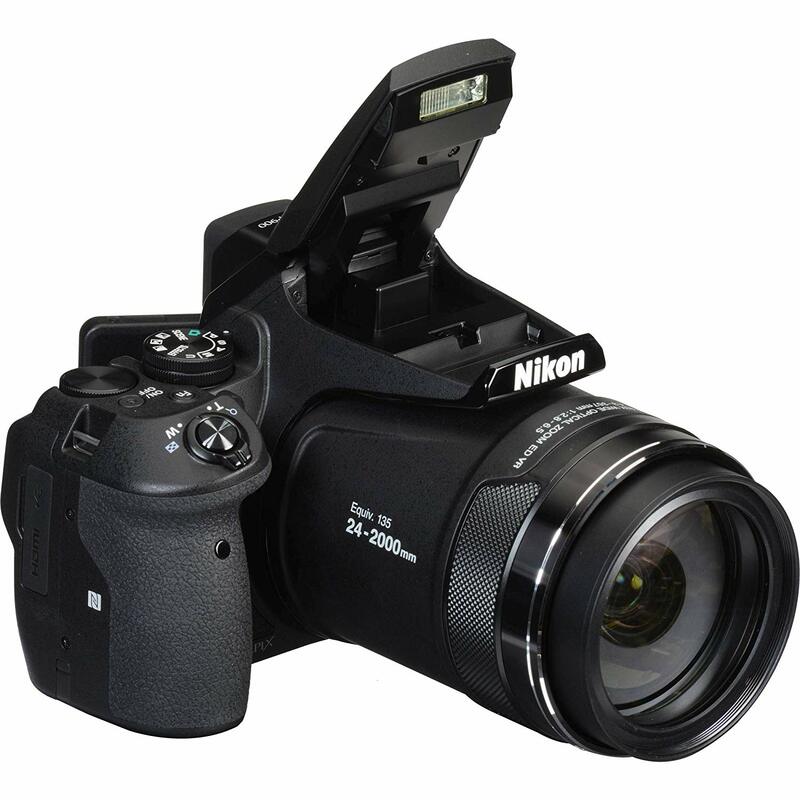 Due to these handy tech features, the P900 is often regarded as a “must have” travel camera. Whether your shopping online or at a brick and mortar store, the cost is about the same at just under $600. 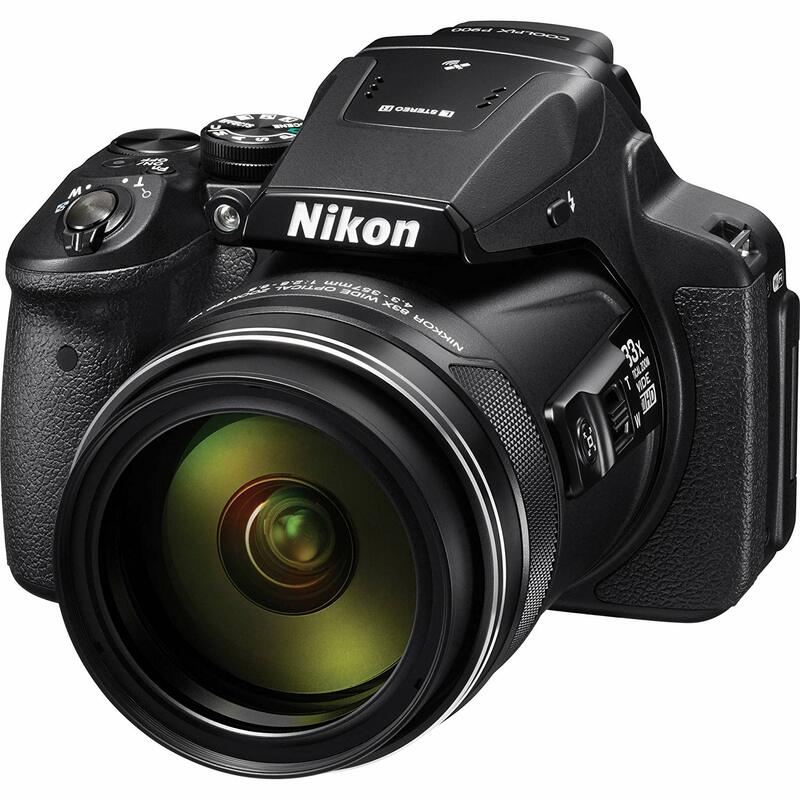 You can purchase the camera directly from the official Nikon site or you can buy one at an online marketplace like Amazon or from stores like Best Buy. As you shop around online, you may be able to find “bundles” that sell the P900 and other accessories such as a tripod, an extra battery, flash attachments, and other “extras.” Depending on what you want or need a bundle (which is usually an extra $100) is a worthy investment. Make sure that you know exactly what you’re getting and whether or not the camera is pre-owned or refurbished. Many P900 bundles that are sold online are refurbished cameras. In many cases, refurbished or pre-owned cameras work just as well as a new camera, but it’s best to read all the details and take a close look at the refund or return policy. Camera bundles often get mixed reviews so if you’re interested in purchasing one, take the time to read customer reviews to see what other users have to say about some of the products that are included and if they are worth the extra cost. Since user feedback and testimonials play an integral role in making your own decision about a product, we decided to check out what other P900 users had to say about the camera. We strive to give you a well-rounded review of the P900, so that means we took the time to consider both positive and negative feedback from dozens of online customer reviews. Overall, the P900 has a positive customer rating of about 4.5 out of 5 stars, so let’s start with some of the positive reviews. ​​​​​After reading dozens of customer reviews, it’s clear that the majority of users who purchased the P900 bought it for capturing nature shots or when traveling. Thanks to the tech-friendly features and the versatile zoom, it makes sense why the camera is a popular pick for nature lovers and avid travelers. An overwhelmingly amount of positive reviews were regarding the zoom feature, and many users commented that it was the perfect camera for capturing images of birds and other difficult shots in nature like the moon. 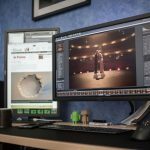 In addition to raving about the zoom feature, many users commented on the high-quality of the images and the versatility of the vari-angle display. Others liked the Wifi and GPS capabilities, especially while they were hiking, traveling, or in remote areas. Besides the zoom and tech-friendly features, users liked that the camera was easy to use and that the size was convenient for travel. Besides the zoom and tech-friendly features, users liked that the camera was easy to use and that the size was convenient for travel. Even though the majority of reviewers are complimentary about the zoom feature on the P900, some users were disappointed with the image results and didn’t think the pictures were as clear as they could be. A variety of complaints were in regards to technology issues and things that could possibly be a manufacturers defect or something that broke during the shipping process. Despite the frustration from some users, most were still satisfied with the camera overall. Even though many users thought that the camera was easy enough to use, some returned the camera because they were too overwhelmed by the features and had difficulty with the zoom; many of these users wanted something that was more automatic and requires little skill. 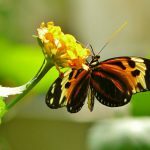 If you like to travel or spend a lot of time walking around in nature looking for wildlife to photograph, looking for the right digital camera that has all the right features can be difficult. 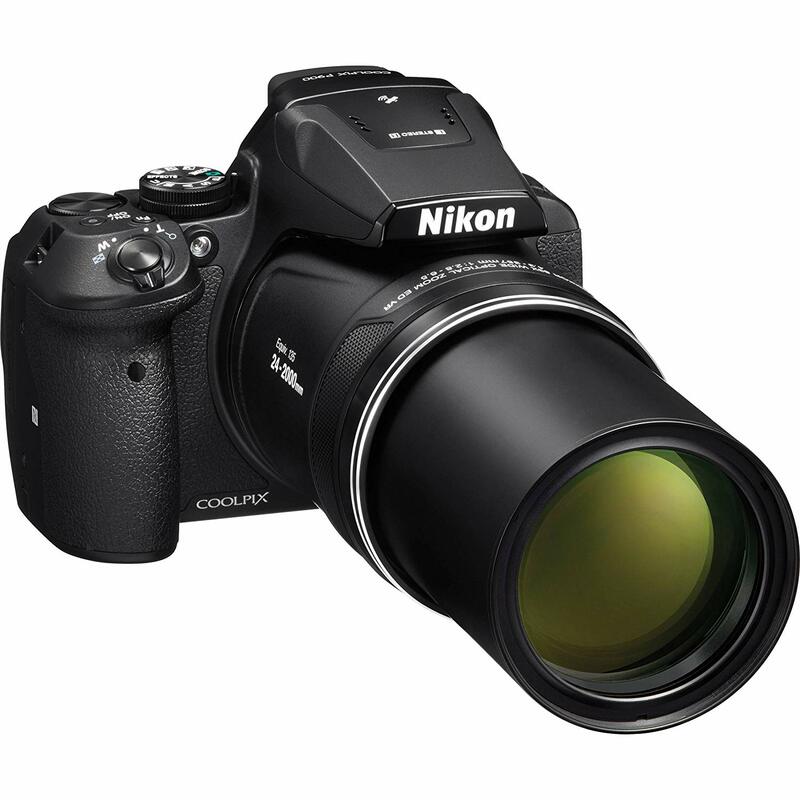 As we read dozens of customer reviews, we realized that the Nikon COOLPIX P900 was easily a favorite pick for nature lovers and adventurers. Even though the impressive zoom feature had mixed reviews, we think it’s one of the most unique features of the camera, and it provides more photo opportunities for users whether they are bird watching in their backyard or on a weeklong camping trip in the mountains. Choosing the right digital camera can also be a little stressful when you consider that most of the high-quality cameras are somewhat of a financial investment. The Nikon P900 costs about the same as other Nikon models, so if you’re familiar with the Nikon brand or have other Nikon cameras, you might be more likely to invest in the P900. While the zoom is one of the most talked about features on this camera, the vari-angle display offers a unique approach to taking photos and allows photographers to use a little creative freedom while standing at a safe distance or on level ground. For users who want to share their images and video instantly, the P900 is an excellent choice considering it the Wifi and GPS capabilities. Even if you don’t think that you would use the tech-friendly features often, you never know when they may come in handy. Considering all of the features and the customer feedback, we agree that the P900 deserves the nearly five-star rating it receives.